final fantasy 7. . HD Wallpaper and background images in the Final Fantasy VII club tagged: final fantasy vii advent children cloud strife tifa. 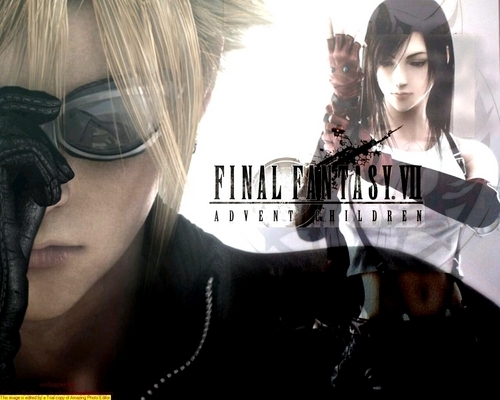 This Final Fantasy VII photo might contain دھوپ, سیاہ شیشے, رنگوں, سائے, سائن ان کریں, پوسٹر, متن, چاکبورڈ, نشانی, تختۂ چاک, کاروبار سوٹ, and بزنس سوٹ.